Plot Summary: One morning, Naho Takamiya receives a letter in the mail claiming to be from herself 10 years in the future. The letter reveals a series of events that are supposed to take place that day. 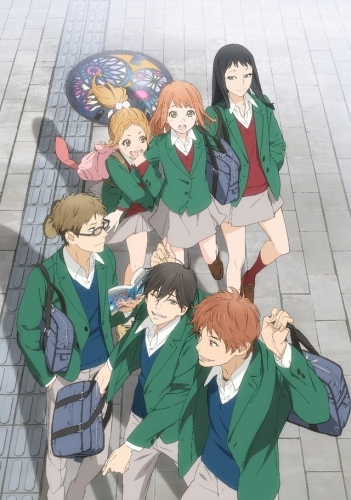 At first, Naho thinks it's just a prank; but when the letter mentions a transfer student named Kakeru Naruse, who really ends up transferring into her class later that day, she is forced to believe in its contents. As Naho continues to read the letter, her future self mentions several regrets, urging Naho to take the right decisions now. Somehow these regrets all seem to be connected to Kakeru, and with the burden of the knowledge that the boy wouldn't be with her and her friends in the future, will Naho be able to make the perfect choices that will alter what seems to be fate?